A common question popping up among gardeners lately has been, “do plants grow better in water or soil?” In this article, the benefits of water gardening will be detailed to help you make the decision about whether or not to grow and maintain your flowers and plants using this method. 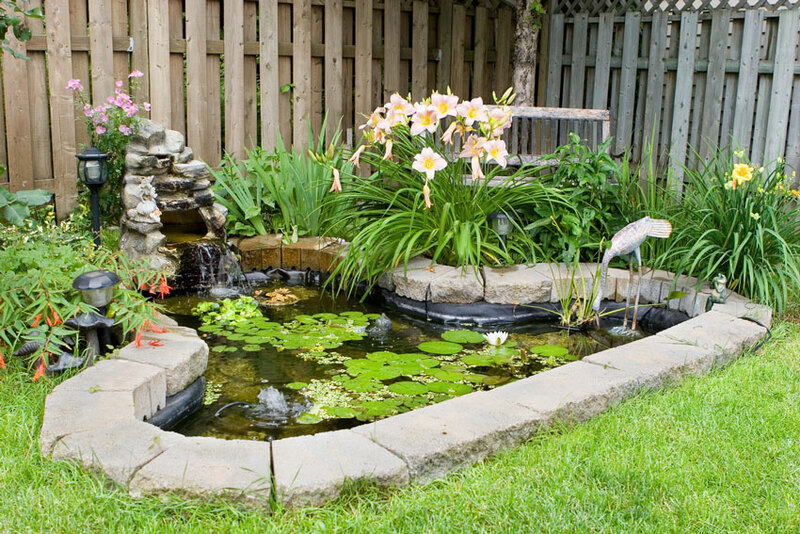 There are a number of advantages that make water gardens better than their soil counterparts. The first, and perhaps most obvious of these, is that no soil is actually required to grow your plants! When you consider the inconvenience of acquiring and transporting large quantities of soil, you will find yourself appreciating this aspect of a water garden very quickly. Two very important factors should also be considered: firstly, a water garden’s lack of soil means that diseases normally contained within the soil itself are theoretically eliminated; secondly, and on a larger scale, there will be no weeds and less insects present to inhibit the growth of your plants. These two things will lead to better results and, in turn, a better overall garden. Given both of these truths, you'll require fewer pesticides and herbicides to grow healthy plants. Should you intend to grow flowers or propagate your plants, the lack of chemicals and soil contaminants will keep you and your family feeling safe and happy about the beauty and longevity of the flowers and plants that you grow. Despite the fact that it’s a water garden, the actual consumption of water will be less than with a soil garden. You'll have no need to keep a sprinkler or hose trained on your plants, which will save you money in the long run – not to mention that you'll also be less reliant on rain to keep your water bill low at the end of the month. A water garden allows you to better monitor the growth of plant roots as well, which is virtually impossible in a soil environment. Should you desire to transport your plants from one location to another, those you grow using hydroponics will stay alive so long as they are kept in that condition. Plants you grow in a soil garden are effectively killed as soon as you pull them up. In addition, you have the advantage of better space usage. Should you desire to grow a large quantity of plants for any reason, you will be better able to do so with a water garden - you can easily stack trays and containers on shelves or hang them in the air, thus freeing up area to grow more. All of these advantages are enough to make a water garden a better choice than a traditional soil garden. To grow better plants with fewer resources is a worthy goal, as is having beautiful flowers and plants for you and your family to enjoy. Brant Florist is pleased to offer you this tip towards better flower growth and maintenance, and should you seek further information on this topic, please refer to our article regarding keeping your flowers alive and healthy.